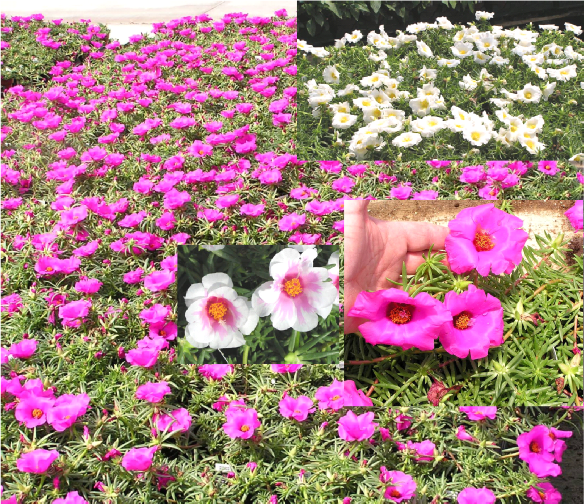 Portulaca “Giant” – Big Brilliant Blooms on a carpet of succulent green foliage! Profuse performer all summer long in full sun. We grow these in quart pots.